WITH TWO MONTHS to go before the end of the year, there’s already been an increase in the applications to allow civil flights carrying weapons to land in Irish airports. Ireland has a policy of neutrality, meaning that civilian planes carrying military weapons, ammunition, or equipment have to ask the Irish government for permission before using Irish airspace or landing to refuel in airports. Last year, there were a total of 919 exemptions granted, with 334 of these in Shannon Airport. From January until October this year, a total of 938 exemptions have been granted thus far, and 423 landings at Shannon. In 2016, 813 exemptions were granted out of 864 applications, and there were 210 civil flights carrying weapons of troops landing at Shannon Airport. As a neutral country, Ireland refrains from taking part in other countries’ military operations; civil planes carrying munitions of war are prohibited in Irish registered aircrafts and airspace unless an exemption is granted by the Minister for Transport. The Chicago Convention states that “no civil aircraft may carry munitions of war over a state without that state’s permission”; the Air Navigation Order allows for exemptions from the Irish State up to 48 hours prior to the flight departure. The Minister has no function in relation to the transport of troops. Minister for Transport Shane Ross has said that this was “fully consistent with Ireland’s traditional policy of military neutrality, as applied by successive Irish governments for over 50 years”. Ross added that the Department of Transport consults with the Department of Foreign Affairs and Trade on foreign policy issues when making decisions on exemptions. A total of 953 applications for planes carrying munitions of war to land in Irish airports have been received between January and October this year. Of this number, 938 were granted, and 14 refused. In response to a query from independent TD Clare Daly on five US military planes that landed in Shannon in October, Tánaiste and Minister for Foreign Affairs Simon Coveney said that in the first six months of this year “my Department has recommended against approval of 12 applications for exemptions”. Of those applications that were accepted, 499 were “overflights”, meaning they flew through Irish airspace, and 439 were landings at airports. There have been 423 landings in Shannon Airport so far this year, and 16 in Dublin Airport. There have also been 16 landings in Ireland with “dangerous goods” on board. The Defence Forces attended 82 US military aircraft landings at Shannon, costing the State €59,162.24 up until May of this year. The Department of Transport, Tourism and Sport has been contacted for comment on what those dangerous goods were. 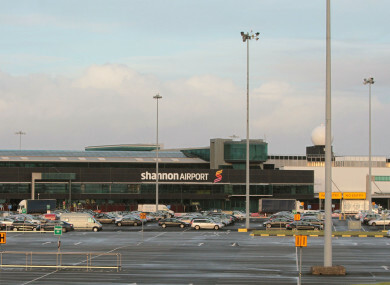 A spokesperson for Shannonwatch, which monitors the foreign military use at Ireland’s third busiest airport with the specific aim of ending the US military’s use of it, said the increase in weapons being taken through Shannon is “extremely worrying”. He said that the figures suggest that the government is “paying lip service to the notion of Irish neutrality”. “They are facilitating wars right across the Middle East, allowing troop carriers and US military cargo aircraft to be refuelled at Shannon on a daily basis means that the Irish Government and the Irish people are possibly complicit in war crimes being committed in the Middle East. The US has been supplying weapons to Saudi Arabia for the bombing of Yemen; without any proper oversight or inspection of what goes through Shannon how can we know that we are not part of the supply chain? The spokesperson added that more transparency was needed over what is being taken through Shannon Airport, “and where the troops and weapons are going”. “The authorities have refused to provide this information, even to elected representatives,” he added. Email “Number of planes carrying weapons to Shannon this year already surpasses 2017 figures”. Feedback on “Number of planes carrying weapons to Shannon this year already surpasses 2017 figures”.